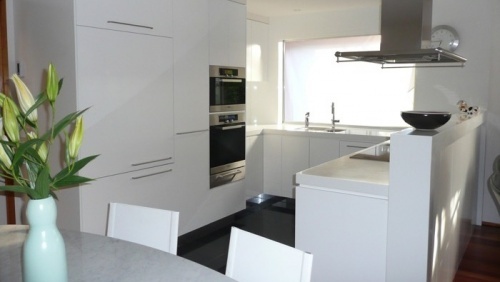 STEVE Milutinovic started his cabinet-making business in 1983 and 35 years on, the company has grown into specialising in home renovations, extensions and new homes. Bordeaux Construction offers commercial fit-outs and joinery and are also fully licensed builders in NSW and ACT. “We pride ourselves in achieving the highest standard for our customers in design and workmanship,” Steve says. “Our prices are competitive and we work with you to achieve your desired outcome. “We offer full trade co-ordination and have our own experienced and reliable tradesmen and expert staff to assist you in your project. Our custom-built, cabinet making workshop can also build joinery items to suit your needs whether for home or office. 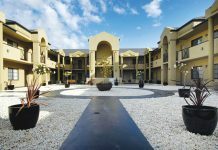 “We also recently received an MBA commendation award for ‘Special Care’ residence as we specialise in housing needs for the aged. Come talk to us about alternative living such as granny flats or self contained units,” says Steve. Bordeaux Construction and Bordeaux Kitchens offer obligation-free quotes. WITH a focus on giving its customers an efficient yet quality service, Woden Valley Glass is the destination for custom-made shower screens, wardrobe doors and kitchens, says manager Achim Weissegger. 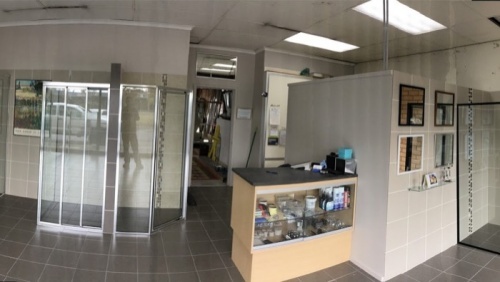 Woden Valley Glass, which has been in Canberra for about 50 years, was taken over by Achim about a year ago, bringing with him more than 30 years’ experience. “I’m a builder so I know a lot about shower screens and I have been doing bathrooms and the rest for a long time, so I know what works and what doesn’t,” he says. Before deciding on a sliding wardrobe door, a kitchen splash-back, a glass palestrate, a mirror or glass replacement, Achim says customers can come into the showroom where there’s the choice of a lot of different options. “We’ll go through the advantages and disadvantages of different products and come up with something that works for you,” he says. 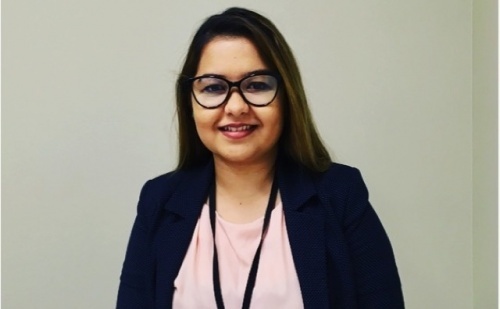 CURRENTLY there are changes that might affect a person when drawing up a will or making estate planning arrangements, says Ashilpa Khanna, of Capon & Hubert Lawyers & Mediators. Ashilpa says there have been changes to several things such as superannuation arrangements and tax implications for beneficiaries under the different types of trusts in a will. “It is very important to consult with someone with whom you are able to ask questions [about these changes],” she says. With its personalised approach, Ashilpa says Capon & Hubert Lawyers & Mediators spend time with its clients to find the best possible solution that fits their particular situation at a reasonable cost – including wills and estate planning. “Wills and estate planning are important because they ensure that your loved ones are looked after when you are gone,” she says. “Having your affairs in order saves time and money or the need to prove something before the court. “It also ensures that your lifetime’s assets are disposed of in the manner that you would have intended. 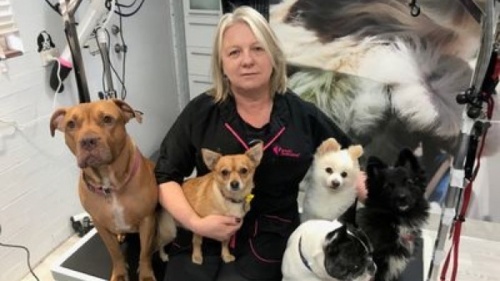 WITH a lifelong love for animals, Debbie Hart wanted to work with them full time so she started BarkRoyal Dog Day Spa & Day Care in 2017 and has been living her dream, working with dogs every day since. Located in Nicholls, Debbie, who is the owner and head groomer, provides doggy day care as well as grooming services. “It’s important to groom long-haired dogs in particular because if they’re not properly groomed their hair becomes matted and it’s painful for the dog,” she says. “Also if you have your dog groomed by a professional, you’ll have much less hair around the house. And as a proud owner of four rescue dogs, Debbie offers any owners who have recently adopted a dog from RSPCA ACT, Yass or Queanbeyan a free wash, dry and tidy. For people who want to give their dogs a social experience or they need them out of the house, Debbie says they can get dropped off in the morning for a day of free play. “Dogs need to socialise with other dogs,” says Debbie, who has a diploma in dog training psychology and dog care behaviour. OWNER of Curtin Optical, Corey Nicholls, says that their independence from large chains gives customers a more personalised service. Having been a part of the Curtin community for 20 years, Curtin Optical has three experienced optometrists available for appointments from Tuesdays to Saturdays. Corey and his team stock a wide range of eyewear, contact lenses and accessories. “We cater to all tastes – from budget to well-known brands,” says Corey. 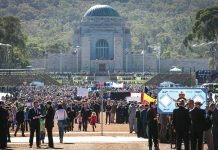 Curtin Optical are providers to the ACT pension scheme and also DVA. Curtin Optical also offers mobile optical dispensing services – spectacle selections and deliveries to the elderly or people unable to come into store due to disability. This also includes spectacle repairs and adjustments, and an after-hours service. In addition, Curtin Optical offers an express service for those who have lost or broken their spectacles. 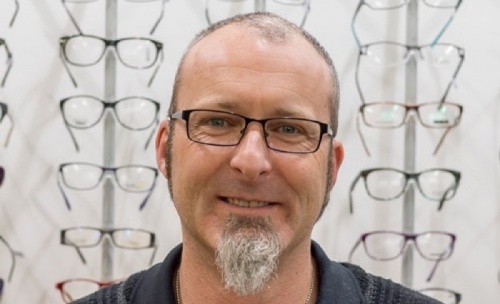 In its full workshop facility, Curtin Optical’s Corey is a fully-qualified optical mechanic and offers an express service on most (stock) single vision jobs, including rimless spectacles. Curtin Optical’s instore services have a same day turnaround and its mobile jobs have a 24 hour turnaround. WARMER weather can inspire people to become a lot more active but being more active can also lead to aches and pains, says Hands-On Physiotherapy’s practice manager Liz Kell. With the team’s “hands-on” approach, Liz says they’re committed to helping people manage acute and chronic occupational, musculoskeletal and sports injuries. 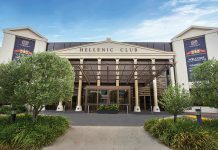 But, being one of Canberra’s original hand specialists, the practice also offers hand therapy following injury or surgery as well as management of Occupational Overuse Syndrome (RSI) and chronic conditions, including pain, osteoarthritis and rheumatoid arthritis. “We can treat or manage injuries including sports injuries, wrist and finger fractures, elbow fractures, carpal tunnel syndrome, joint replacements in the hand, wrist or elbow, nerve entrapment syndromes and osteoarthritis, rheumatoid arthritis and other inflammatory arthritic conditions,” she says. “We also fabricate static and dynamic splints for our clients as required by their treating surgeons or condition management. CLOVER Jewellery has an on-site jeweller and designer so people looking for a special present can get one uniquely made for Christmas, says on-site jeweller James Oh. Clover Jewellery is a family-run business, which has been in Canberra for more than three years after it was in Japan for more than 25 years. “We provide a range of high-end and unique handmade jewellery as well as fancy and beautiful silver jewellery,” James says. “We have lots of samples for customers to try or they can bring in their own design and we can make it on-site by our fully qualified jeweller. 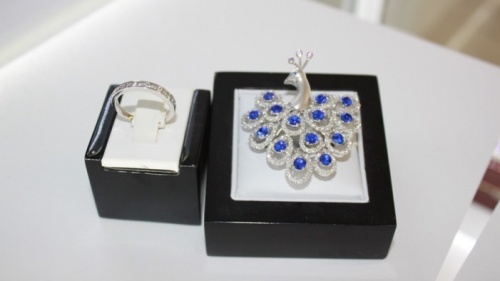 We have wedding rings and engagement rings for customers to try on, too. Based in Manuka, Clover Jewellery makes custom and unique pieces and also offers a free quote for its design services. Clover Jewellery, 2/16 Bougainville Street, Manuka. Call 6295 8545, email clover.j@hotmail.com or visit @cloverjewellerycanberra on Facebook.